It’s no secret things in the automotive industry today are changing and faster than ever before. Technology has become more sophisticated, competition more keen, and consumers—the people who buy your vehicles—have become more educated and aware. In fact, most research demonstrates that the average car buyer spends 14 hours online researching before they visit a dealership. That’s 14 hours of searching, reading and comparing before you even get the chance to talk to them. Having that many choices, allows your potential customers to choose which dealership they will work with not only based on vehicles (since many offer the same or similar options), but also based on the people they want to deal with. This reinforces two of the key concepts we talk about a lot. First, you need to find a competitive advantage other than vehicle selection and price that will help differentiate your dealership in the crowded marketplace. So, why should someone choose you? 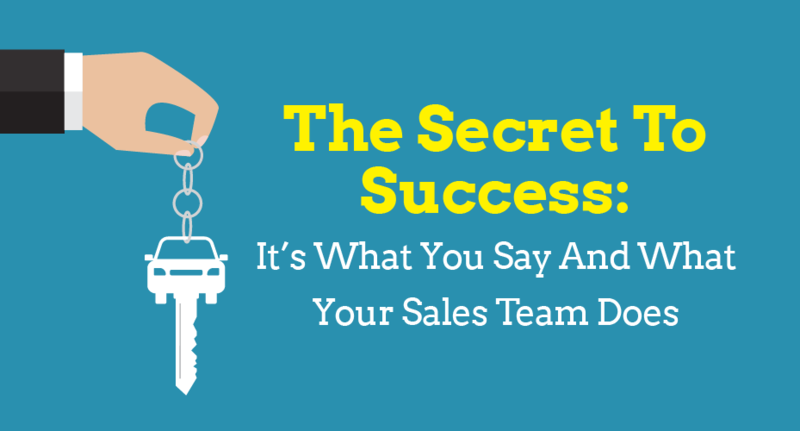 And also, that the people who represent your dealership—your BDRs, salespeople, and service techs—are just as integral in communicating this buying preference as your radio ad and website copy. People make a difference. So invest in your people. Make sure everyone on your team works together to demonstrate your dealership’s ability to solve customers’ transportation problems with ease and finesse. This will take your marketing message from empty promise to buying preference. NextThe Four Warning Signs A Market Retraction Is Here—What’s A Dealer To Do?